"How do I know you're the last cop I'm gonna have to grease?" 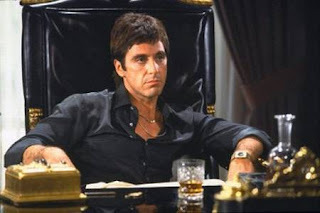 These immortal words of Tony Montana in Scarface rings true in Matt Tiabbi's post Obama Goes All Out For Dirty Banker Deal in trying to neuter Erid Schneiderman's effort to bring the banks to justice regarding securitizations and how they used this questionable practice to sell toxic assets to the world while forcing millions from their homes. 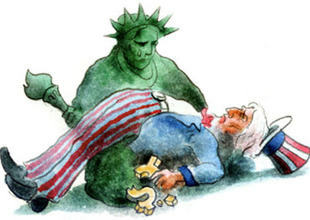 "A power play is underway in the foreclosure arena, according to the New York Times. The idea behind this federally-guided “settlement” is to concentrate and centralize all the legal exposure accrued by this generation of grotesque banker corruption in one place, put one single price tag on it that everyone can live with, and then stuff the details into a titanium canister before shooting it into deep space." No doubt, with his last eager acceptance of Wall Street malfeasance in hopes of getting reelected, I concur with Taibbi's assessment of Obama as being the "most disappointing president we've ever had. "Citigroup Inc. (C) and Bank of America Corp. (BAC) were the reigning champions of finance in 2006 as home prices peaked, leading the 10 biggest U.S. banks and brokerage firms to their best year ever with $104 billion of profits. 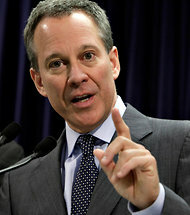 What's astounding about this besides the enormous amount of money given to the banks is the illegality of many of the foreclosures these so called titans of finance perpetrated on homeowners in order to cover losses while continuing to put together exotic toxic waste packages that bankrupted America and Europe with unprecedented speed and efficiency. 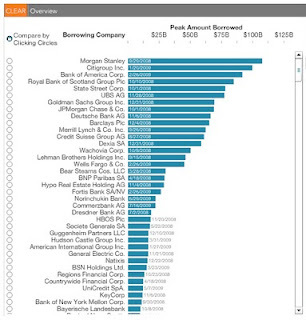 Click the graphic below to view Bloomberg's interactive chart showing the Fed's largesse provided to the Too Big To Fail banks who have failed us in ways impossible to comprehend. "I have had men watching you for a long time and I am convinced that you have used the funds of the bank to speculate in the breadstuffs of the country. When you won, you divided the profits amongst you, and when you lost, you charged it to the Bank. ... You are a den of vipers and thieves." 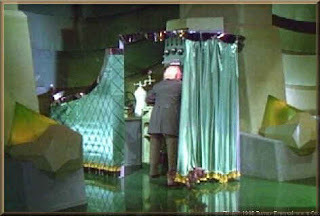 Government censorship is abhorrent to say the least because, as the late great I.F. 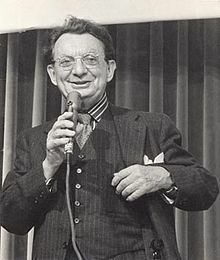 Stone said:, "Governments lie. ", a notion most intelligent people accept without question. 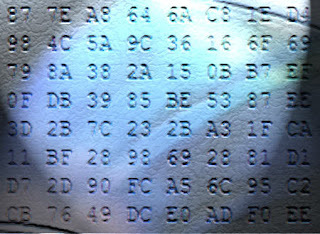 Enter Telex, software able to keep the net open and accessible to all without the specter of government censorship. Seen below is a picture of the irreverent Izzy, a reporter who's I.F. Stone's Weekly monitored US government affairs at a level beyond anything we see today. This statement shown below says it all about a guy who believed in openness and freedom above all else, in hopes of educating people about the vagaries of government and what must be done to hold the government accountable for misdeeds it perpetrates in order to remain in power. "I am, I suppose, an anachronism. In this age of corporation men, I am an independent capitalist, the owner of my own enterprise, subject to neither mortgager or broker, factor or patron. In an age when young men, setting out on a career of journalism, must find their niche in some huge newspaper or magazine combine, I am a wholly independent newspaperman, standing alone, without organizational or party backing, beholden to no one but my good readers. I am even one up on Benjamin Franklin—I do not accept advertising." Years ago, the US was a great manufacturer of quality hardware, (Watch American Restoration as entertaining proof), something not only sad but potentially disastrous as seen by an in-depth The Nation article titled, How America Could Collapse. Worryingly, there’s been very little consideration of how systemic collapses can happen in another, perhaps more dangerous realm—the industrial supply system that keeps us in everything from medicine to food to cars to, yes, videotape. In 2004, for instance, England closed one single factory , which caused the United States to lose half of its flu vaccine supply. Barry Lynn of the New America Foundation has been studying industrial supply shocks since 1999, when he noticed that global computer chip production was concentrated in Taiwan. After a severe earthquake in that country, the global computer industry nearly shut down, crashing the stocks of large computer makers. This level of concentration of the production of key components in a globalized economy is a new phenomenon. Lynn’s work points to the highly dangerous side of globalization, the flip side of a hyper-efficient global supply chain. When one link in that chain is broken, there is no fallback." 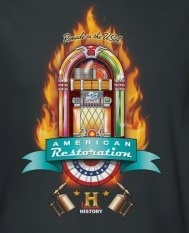 Click the image to link to American Restoration, The process the crew goes through to restore "stuff" is fascinating to say the least. Addendum: The Government is giving money to GE to move multiple factories to China because, according to GE, "the markets are there"
Oh, I forgot, they paid no taxes either. "For those unaccustomed to the loopholes and shelters of the corporate tax code, GE's success at avoiding taxes is nothing short of extraordinary. 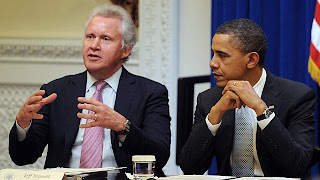 The company, led by Immelt, earned $14.2 billion in profits in 2010, but it paid not a penny in taxes because the bulk of those profits, some $9 billion, were offshore. 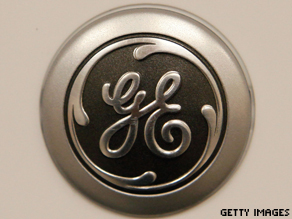 In fact, GE got a $3.2 billion tax benefit." When given a chance, the seas can come back as seen by the success of a wildlife sanctuary located at the southern tip of Mexico's Baja peninsula. 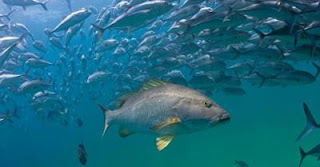 "Results of a 10-year analysis of Cabo Pulmo National Park (CPNP), published in the Public Library of Science (PLoS) ONE journal, revealed that the total amount of fish in the reserve ecosystem (the "biomass") boomed more than 460 percent from 1999 to 2009. Citizens living around Cabo Pulmo, previously depleted by fishing, established the park in 1995 and have strictly enforced its "no take" restrictions. The most striking result of the paper, the authors say, is that fish communities at a depleted site can recover up to a level comparable to remote, pristine sites that have never been fished by humans." Nature finds a way if we let her. When listening to this, ask yourself one question, does earth really need us? There's another holy grail in CG along with real time rendering of high res 3D imaging, the modeling and animation of a realistic human face, something considered not doable, at least at reasonable cost, until now. "The human face is a complicated thing—powered by 52 muscles; contoured by the nose, eyebrows, and other features; and capable of an almost infinite range of expressions, from joy to anger to sorrow to puzzlement. 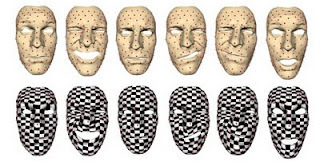 Now, researchers at Microsoft Research Asia, led by Tong and working with Jinxiang Chai, a Texas A&M University professor, have developed a new approach to creating high-fidelity, 3-D images of the human face, one that depicts not only large-scale features and expressions, but also the subtle wrinkling and movement of human skin. Their work could have implications in areas such as computerized filmmaking and even in creating realistic user avatars for use in conferencing and other applications." 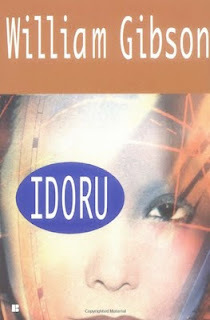 Actors in hollywood better keep looking over their shoulder or better yet, looking at their computer monitors to see the competition, who knows, the next Idoru could be coming their way courtesy of tech and the artists who create them. Click the picture below to read the paper explaining how the software works. Most interesting to be sure. "Instant gratification isn't fast enough." - Robert E.